Rita Ora Drops Bittersweet Club Anthem, "Let You Love Me"
UPDATE: Rita’s “Let You Love Me” video arrived. Stream it below! Thank the pop gods! 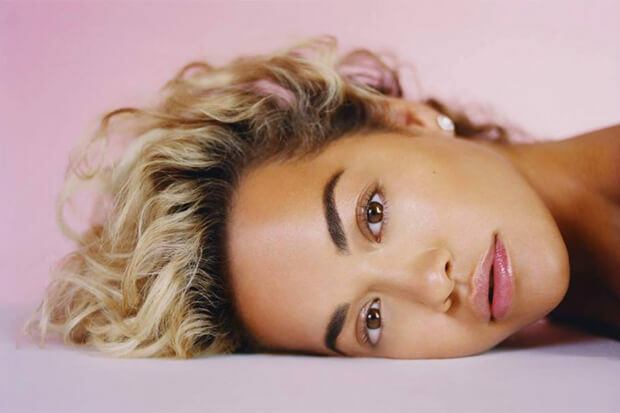 Rita Ora’s oft-delayed sophomore LP Phoenix is on the way. Earlier this week she revealed it is scheduled to arrive November 23. Previous singles including the glorious “Anywhere,” the romantic Liam Payne collab “For You” and the controversial “Girls” will land on the tracklist. But today (September 21), the 27-year-old rolled out the first taste of new music – “Let You Love Me.” And it sounds like the diva isn’t pulling any punches this time around. Her latest is a bonafide smash. 2018 is surely shaping up to be the year of the emo banger. Some of pop’s biggest stars have disguised bittersweet emotions with the shimmer of a danceable beat. “Let You Love Me” falls into that category. Over sugary synths, the “Lonely Together” siren mourns the state of her relationship. “I should’ve stayed with you last night, instead of going out to find trouble,” she forlornly announces on the opening lines. “I think I run away sometimes, whenever I get too vulnerable. That’s not your fault,” she adds. As she moves into the chorus, she reveals how hard it is to find security in her romance. “Wish that I could let you love me,” she laments. “”What’s the matter with me?” Aside from being all sorts of relatable, Rita’s latest is an absolute bop. With any luck, “Let You Love Me” will become another international smash for the pop princess. The Brit has dominated the charts in the UK, but she has struggled to find a leg on the Billboard Hot 100. This could end up being her biggest hit to date stateside, and it would be well-deserved. Keep an eye peeled for the accompanying video, which is set to drop later this afternoon. In the meantime, give “Let You Love Me” a listen below! Does Rita have a hit on her hands? Let us know below, or by hitting us up on Facebook and Twitter!